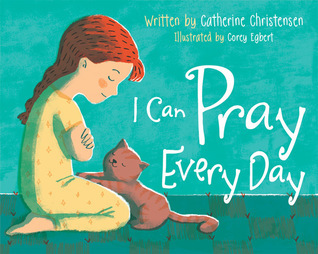 This is one of the best religious picture books I have seen come out in a very long time. We love the message which reminds us we can pray any time in any place about anything. The color scheme is matching and beautiful. Teal, red and yellow pallette bring in a 50’s vintage picture book feel. I Can Pray Every Day has quickly become a favorite pick for our family and especially appealed to our 6 and 9 year old. Loved this book!